Stockholm, 12 November 2018: Swedish Blueair is once again recognized for its pioneering air purification technology, HEPASilent™, which delivers more clean air at a faster rate, at lower noise levels and with less energy consumption. “This air purifier scored five stars for removing dust, pollen and smoke from our pollutant-packed test chamber. It successfully cleared the nasty particles that we pumped in, making it one of the most efficient machines we've tested” states leading UK consumer organization Which? on their website where they explain that the aim of the endorsement scheme is to “publicly recognise the very best products available in the market”. The Blueair Classic 405 tops the Which? air purifier rating for excellent cleaning of dust, pollen and smoke particles, bright indicator lights, quiet minimum setting and simple to use app. Last year the Blueair Classic 405 was also rated Best-in-Test by independent testing institute Testfakta. “Thanks to our pioneering HepaSilent™ technology, our air purifiers have a superior performance even at lowest speed, said Alexander Provins, Director Europe. “I’m not surprised that our Blueair Classic 405 was awarded top scores in the Which? test. It is rated “Best-in-Test” in the UK by Testfakta and is our most popular product among consumers.” added Provins. A total of 17 air purifiers were rated for performance (removal of dust, smoke and pollen), energy consumption, ease of use and noise. Blueair Classic 405 received the highest scores. The Classic 405 is a wi-fi enabled air purifier for home or office use. It combines the Blueair unique HepaSilent™ technology with functional Swedish design features such as a digital display with touch-button control. It is energy-efficient, whisper silent and made out of materials that can be recycled. 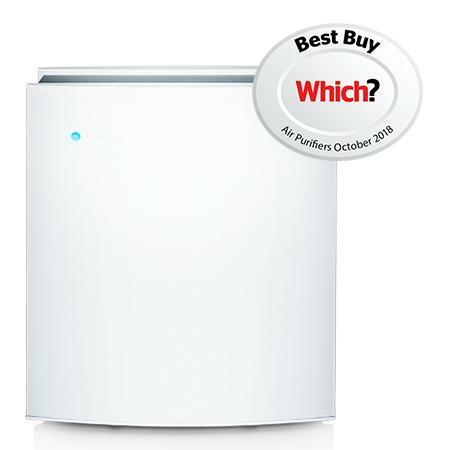 Blueair Classic 405 is rated “Best-in-Test” by Testfakta and “Best-Buy” by Which?. It is also recommended by Swedish Asthma and Allergy Foundation for people with asthma, allergies and other respiratory illnesses, an by Today’s Parents to improve the health of children. In addition to pollen and car exhaust entering buildings, chemicals in paint, furniture and clothing as well as cleaning detergents, mold and dust, make indoor air up to five times more polluted than outdoor air in both city and rural dwellings, according to the US Environmental Protection Agency (EPA). According to EPA, people also spend 90% of their time indoors. Which? 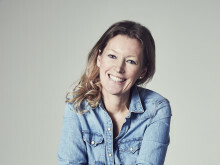 is the UK’s largest consumer organisation with more than 2.6 million members and supporters. Which? improves consumer lives by helping them make informed decisions by publicly recognising the very best products available in the market. Blueair, a world leader in air purification for home and professional use, proudly announces that respected Swedish Asthma and Allergy Association recommends four of its air purifiers for people with asthma, allergies and respiratory problems: Classic 405, Classic 480i, Classic 605 and Classic 680i. STOCKHOLM – September 26, 2017 – Among 12 different brands tested, Blueair Classic 405 has a “superior air purification capacity” according to Testfakta Research laboratory tests performed by independent accredited Intertek Testing & Certification and IBR Laboratories.